In addition to Rs 11,000 crore bailout package, the govt may give the board of directors additional powers to take decisions on operational issues. 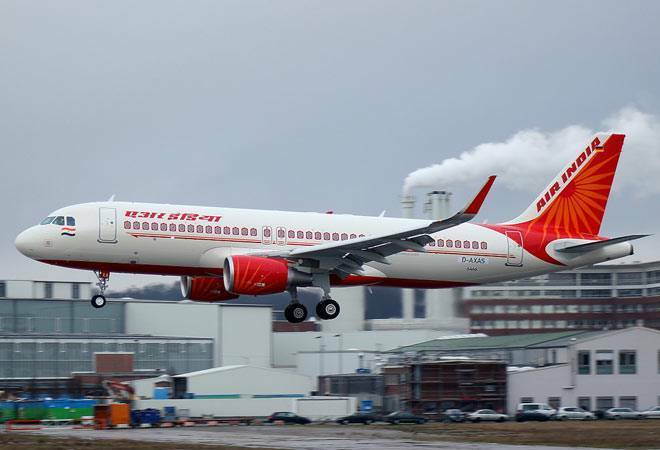 As the Civil Aviation Ministry plans Rs 11,000-crore bailout package for ailing Air India, Aviation Secretary RN Choubey on Thursday confirmed that the centre is working on a turnaround plan to make the debt-ridden airline competitive. Also, the centre is working on ways to let all airlines raise external commercial borrowing to meet the rising operational costs. The decision seems to have been taken in wake of private airlines facing loss due to high fuel cost and falling rupee value. "We would like to make sure that Air India as a state-owned enterprise remains competitive and its market share does not go down, which may require capacity induction... We will also ensure that sufficient delegation (of power) is given to the board of directors to decide on operational matters," Choubey said, reported Mint. On Tuesday, it was reported that the Civil Aviation Ministry has approached the Finance Ministry for another bailout package of Rs 11,000 crore, but the process is still at a preliminary stage. The bailout package for Air India would help clean up its balance sheet, thereby making it attractive for investors when the government decides to its strategic stake sale again. As part of the turnaround plan, the government wants major changes in terms of operational matters. The government may give the board of directors additional powers to take decisions on operational issues, a key hurdle for the airline to compete with other private players operating in India. Also, external commercial borrowing could also be a breather for private airlines, which are struggling to keep up with revenues due to high fuel cost, interest costs, and declining rupee value. The recent casualty in case is Jet Airways. The airline reportedly told its employees to take up to 25 per cent salary cut -- 5% for employees earning Rs 12 lakh per annum, 25% for employees earning up to Rs 1 crore, and 17 per cent for pilots -- due to rising operational expenses. However, the company later took back its decision but, by then, its stock had already taken quite a hit. The full service carrier's stock slumped over 12 per cent since July 2 and in intra-day trading on Thursday, it touched a 52-week low of Rs 286.95 apiece. Though the airline has not released its quarterly results, it posted net loss of Rs 1,040 crore in Q4 of FY18. Similarly, budget carrier IndiGo's profit declined 96.6 per cent to Rs 27.80 crore for the June quarter -- all due to adverse impact of foreign exchange, high fuel prices and the competitive fare environment. The airline had reported Rs 811.1-crore profit in the year-ago quarter.